Spanish airline Iberia will increase the number of flights between the Madrid-Barajas Adolfo Suárez Airport and the Luis Muñoz Marín International Airport next summer, Puerto Rico government officials confirmed. Puerto Rico Tourism Co. Executive Director José R. Izquierdo, said Iberia will increase from three to five weekly frequencies between MAD and SJU between the first week of June 2018 and the first week of August 2018. The additional 18 flights added to the schedule are expected to attract some 1,100 visitors to Puerto Rico in 2016, with a related economic benefit of $1.1 million, the government estimated. The future flight expansion builds upon Iberia’s operational growth since returning to Puerto Rico in 2016. During the current year, Iberia moved up its schedule by seven weeks, flying the MAD-SJU route from mid-May to late March. This represented 21 additional flights by the carrier. “Iberia’s bid to continue growing in Puerto Rico is clear evidence that, despite the major obstacles faced in recent months, the island remains a highly attractive destination not only for domestic airlines, but for international ones as well,” said Izquierdo. “We’re working tirelessly to continue increasing direct connections between Europe and Puerto Rico,” he said. Iberia will continue to operate three weekly flights during the rest of the season, which begins on March 26, 2018 and will run until the end of October 2018. “In 2018, we will again fly to San Juan with renewed strength and 24 percent more capacity, a sign of our commitment to Puerto Rico and our confidence that it will recover quickly from the damages caused by Hurricane María,” said Sansavini. 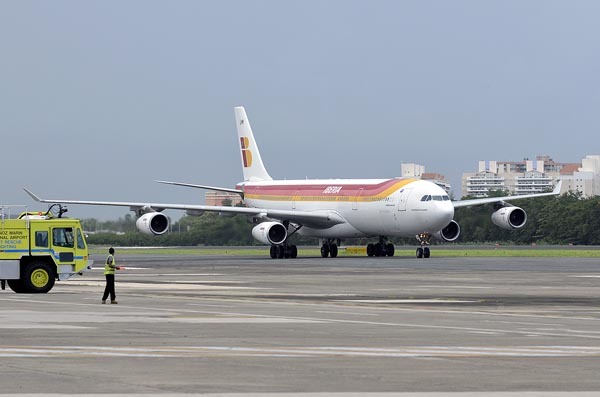 Hey Buddy!, I found this information for you: "Spain’s Iberia airline to expand frequency out of PR’s LMM airport". Here is the website link: https://newsismybusiness.com/airline-frequency-airport/. Thank you.